Another night; another heart attack brought on by Red Sox closer Craig Kimbrel, but another win. 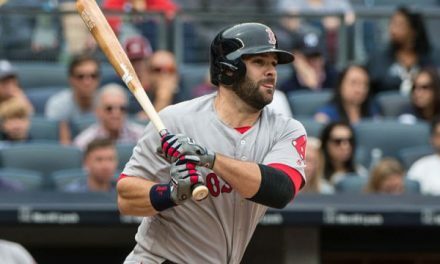 This has become commonplace in close Red Sox victories this postseason, as Kimbrel has been a disaster on the mound, but has ultimately finished out each game successfully; somehow. 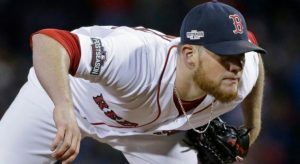 Kimbrel appears to be a disaster waiting to happen, so what should the Red Sox do with him moving forward? I think Kimbrel needs to be taken out of the closer role, at least temporarily. He absolutely cannot be trusted right now. Even if the next game is close, I would use other pitchers in the late innings. If there is an opportunity in the near future to pitch Kimbrel in a game that isn’t very close, the Red Sox should take it. I’m not sure if nerves are playing a factor, they likely are, but Kimbrel can barely find the strike zone. Maybe working in a lower leverage spot Kimbrel can find the strike zone. Maybe he won’t be able to, but you can’t have a guy throwing ball after ball trying to close out games. There have been multiple times this postseason where Kimbrel has been brought on to protect a three-run lead and hasn’t thrown strikes. In that situation, the only goal is to throw strikes; a home run can’t beat you, throw the ball over the plate and make them work for it. Kimbrel has been giving the opposition baserunners without much fight. 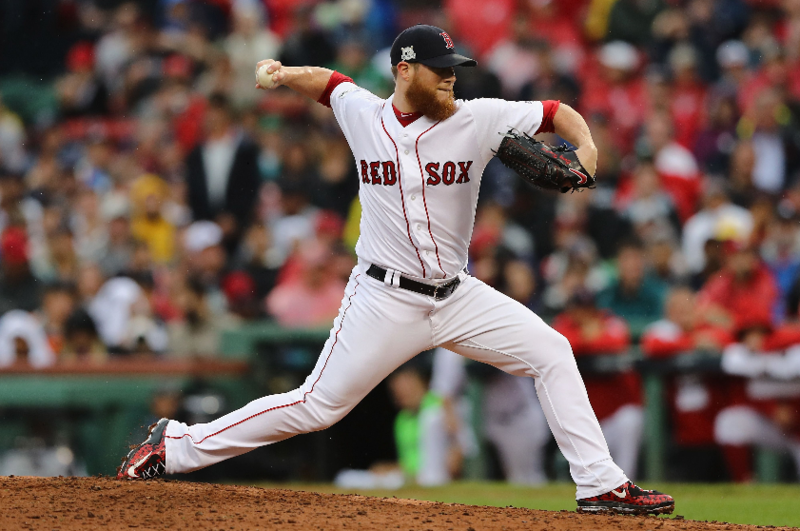 Craig Kimbrel has pitched in four games this postseason and allowed the opposition to score in all four. Just let that sink in for a moment. His ERA is standing at 8.44 after last night and he has put 13 baserunners on in only 5.1 innings pitched. 13! Kimbrel has walked five batters and hit two as he struggles to locate his pitches. 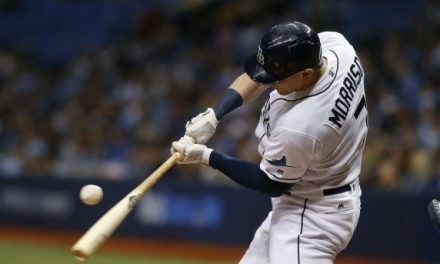 On numerous occasions he has yanked his fastball, missing so far outside the catcher is left reaching as far as he can to corral it. Other times, his breaking ball is a wild pitch waiting to happen. He has been playing with fire and somehow has yet to be fully burned. It’s only a matter of time if something is not done. In game four of the ALDS, pitching with a three run lead, Kimbrel walked two batters and hit another. He threw 28 pitches to get three outs, less than half of them going for strikes. He came about as close to blowing that game as one could without actually blowing it. His next outing he gave up back-to-back two out hits before a fly ball from Alex Bregman nearly tied the game. Craig Kimbrel's last clean postseason outing in a game his team was winning when he entered was 8 years ago! Game 2 of the 2010 NLDS. Yeah, really. Despite everyone being worried about the Red Sox bullpen entering the postseason, Kimbrel has been the problem. Others have pitched very well, excluding Brandon Workman. Workman shouldn’t pitch unless the game is a blowout, he’s the only guy that’s been worse than Kimbrel. Ryan Brasier struggled in his first postseason appearance but did not allow a run. He seemed to have cleared his postseason jitters with that performance because he has been nails since. Brasier is up to seven scoreless innings over seven appearances. Matt Barnes has also come up big, netting a big strike out looking to end the seventh last night. Barnes has now thrown 5.2 shutout innings over six appearances this postseason. 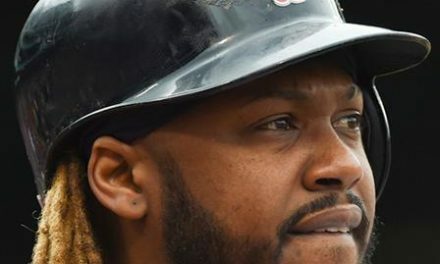 These are currently the Sox two most trustworthy relievers, like it or not. At least for now, they should be getting the highest leverage spots. In addition to them, others are also performing well. Heath Hembree has thrown 3.2 shutout innings, albeit not in any tight spots. Joe Kelly has stepped up his game, showing the good side of his pitching. Kelly has allowed one run over 5.1 innings without issuing a walk. The strike throwing is refreshing. Ideally Kimbrel is the ninth inning guy; he’s been doing it a long time and it helps set up the bullpen better. 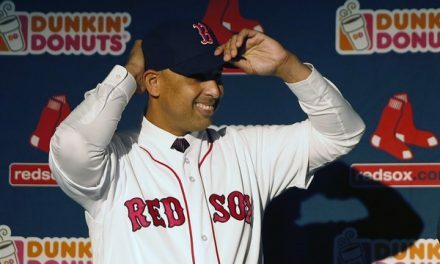 But for the moment, he can not be trusted with the way he is throwing, and the Red Sox need to try someone else.